Last week TVPD received another frantic call from a Lady in Vale, Oregon, who had accidentally dropped her very expensive diamond ring down her sink drain. They had taken the P-trap off under the sink, hoping to find it stuck in there, but the P-trap was empty. When she called TVPD, she was very upset. Dave told her to not run any more water and our guys would be out soon. When our Techs arrived, they ran a camera down the 2″ drain line from the clean out and found the ring was still in the small drain and had not been washed into the 4″ main sewer line yet. 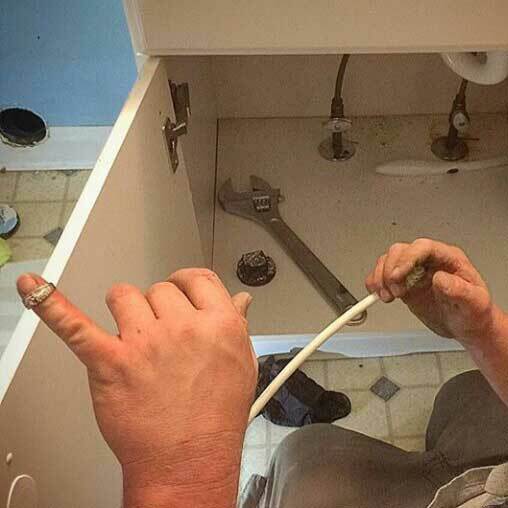 Using a small piece of tubing with a hook on the end, they watched on the camera monitor as they were able to get the ring on the hook and pull it back through the clean out. Needless to say, the customer was VERY HAPPY to have her ring back on her finger. Our success rate for retrieving wedding rings lost down sink drains is 3 for 3. We get them EVERY TIME.